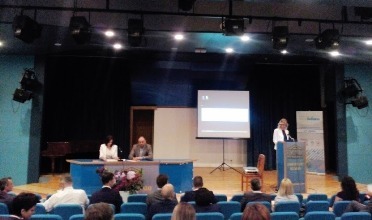 The conference was opened by Ms. Natasa Acimovic, Mayor of the Municipality of Herceg Novi, who stressed that through the exchange of experiences on best practices, improvement of legislation, improvement of the Code of Conduct, as well as good communication with citizens, NGOs and businesses, the local government can significantly shorten the time to achieve the strategic goals. The Secretary General of the Union of Municipalities Mr.Refik Bojadzic, presented the specifics of the municipalities and activities that Union of Municipalities has undertaken to improve the legal framework regulating the system of local self-government, in order to create appropriate conditions for faster economic, social and democratic development of local communities. He pointed out that the system of local self-government in Montenegro is characterized by monotype organization in which all local government units have the same powers and responsibilities regardless of the significant differences between municipalities in size, population, economic development, fiscal and human resources and that have substantially the same structure of the bodies and services. The advantages of this organization are as adapted the principle of equality of citizens and giving a better chance for development of a less developed local government units, and thus the region, while the disadvantages of such a system which ignores factual differences and discrepancies between the needs and problems of small rural municipalities and larger urban municipalities and cities. To eliminate these disadvantages, the PAR Strategy for the period 2016-2020 envisages the establishment of a mild politype system that will take into account these differences and ensure the efficient performance of affairs and the provision of services to citizens and businesses. An important mechanism that can be part of the solution to this problem is the closer cooperation between the municipalities, which will be given greater attention in the future. He pointed out also that, due to financial difficulties faced by most of the municipalities in Montenegro, a special challenge for the municipality in the future will be the provision of funds for pre-financing of projects financed from EU funds. 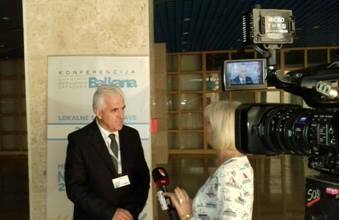 In this regard, he stressed the importance of the Union of Municipalities’ initiative submitted to the Government of Montenegro for the establishment of Revolving fund from which municipalities under the favorable conditions would provide funds in the form of short-term loans for pre-financing the project, which would strengthen the absorption capacity of municipalities to use EU funds and what is essential for Montenegro’s accession process to the European Union. He pointed out the fact that the system of public administration organization in Montenegro do not provide ministry directly addresses specific problems and needs of local governments, which is an objective need and the reason why the Union of Municipalities submitted to the Government initiative for the establishment of the Ministry of Public Administration and Local Self-Government, which will be dedicated to deal with specific issues of local government. “It is a requirement to make faster progress in the reform of local government and to improve the work of municipalities and public services founded by the municipality” – concluded the Secretary General. Mr. Djordje Stanicic, Secretary General of the Standing Conference of Towns and Municipalities of Serbia, said that the meetings of representatives of local governments are necessary and useful to exchange experiences, strengthen cooperation and implementation of joint projects. 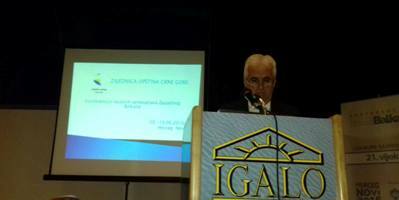 He informed the participants on the specific problems present in the system of local self-government in Serbia and the activities undertaken to overcome them. Participants of the Conference exchanged experiences on topics of particular importance for the local government in the field of environment, energy efficiency, economic and social development. Good practices were presented by representatives of municipalities from the region: Pecinica, Capljina and Novi Pazar, while the eminent professors and experts shared their experiences and knowledge with the participants in the field: Integrative development of local governments using the EU pre-accession funds; Standardization and optimization of the planning process in local government; Sustainability of infrastructure systems in local governments and energy efficiency and the role of local governments. The conference was a good opportunity for representatives of local governments to exchange experiences and best practices, as well as the answers to the challenges they face in their work, as well as to establish new partnerships for future cooperation.